Visiting Tokyo in the winter/early spring season? 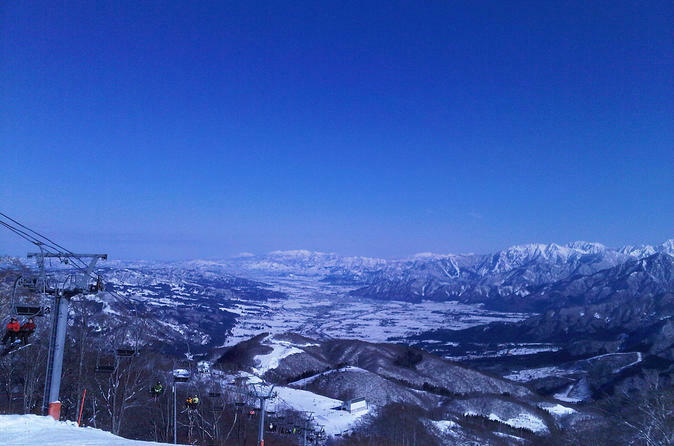 Why not go for snowboarding/skiing for 1/2 day? This tour provides a rare opportunity to try JaPOW - Japan powder snow - while visiting Tokyo! As an option - the tour can be paired with onsen (hot spring) and Japanese sake tasting! Please note: This seasonal tour runs annually between December and March. The dates are subject to change. Take Joetsu Shinkansen, a bullet train, from Tokyo Station. It will take about 70-80 minutes to get to Gala Yuzawa Station in Nigata. After hours of indulging with snow - onsen is available for those of you who wish to soak your ice cold body. As an option - we also make a stop at Ponshukan - (A house of Japanese Sake) Walk into a room called "Kikizake Machine (Sake Tasting Machine)" and JPY500 is all you need to enjoy 5 small cups of sake, out of 130 selections from 96 brewers. The tour ends in Tokyo Station - around 6pm to 7pm, meaning you still have plenty of time to grab dinner and continue the day with night activities in the city.